The possibilities for a work of art to charm and fascinate lovers of art seem to be infinite. 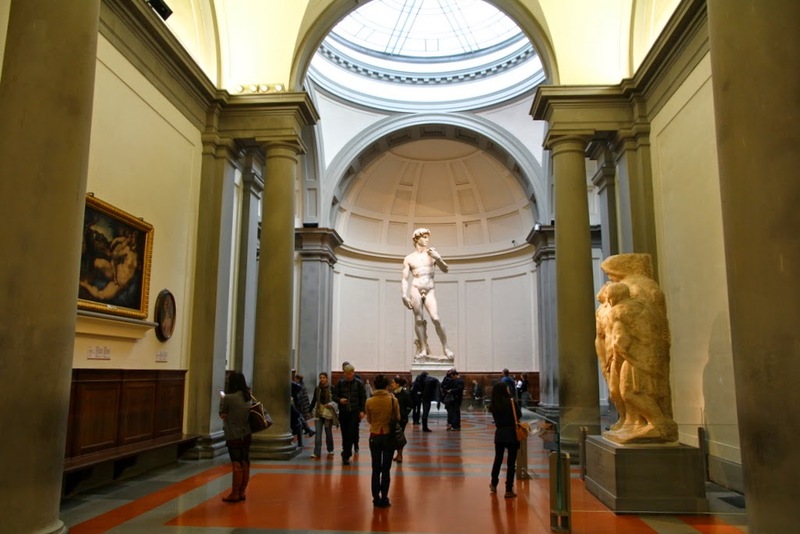 When the said work of art is Michelangelo's world renowned David, everyone is ready to be enraptured. 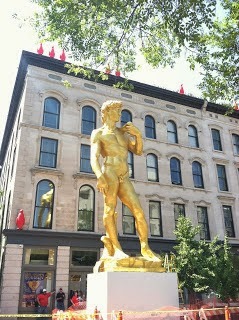 But what is it about this particular scuplture as opposed to thousands of others that sets it apart? 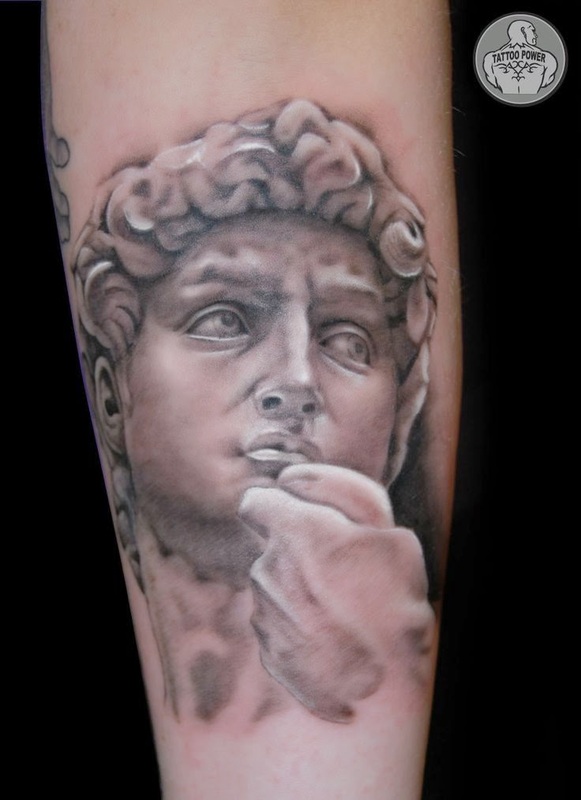 How has David become so well recognized and embraced by everyone from Renaissance scholars to tattoo artists? How can a 16th century sculpture of a Biblical figure manage to be an icon of perseverance against terrorism, health and body image issues, as well as the environment, all at the same time? 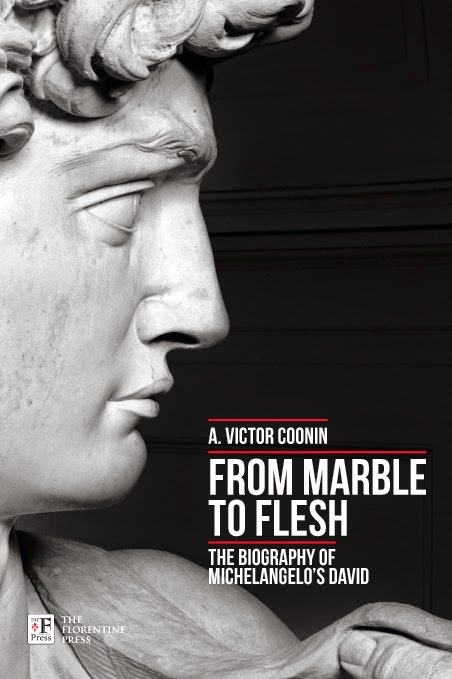 A. Victor Coonin, in his book, From Marble to Flesh:The Biography of Michelangelo's David, provides a comprehensive context for the great masterpiece, from its inception to afterlife in many forms and spaces. After reading this book the reader will not only understand how the David came into being, but also the relevance of the time period it was created in and its significance throughout the centuries. 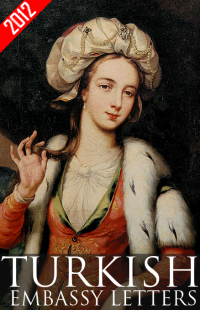 Coonin has written a book for the masses filled with great art historical details that can appeal to a wide audience. The narrative flows easily and naturally. The reader is taken on a journey that starts with the birth of the idea for the decoration of the Cathedral of Florence, Santa Maria del Fiore, through the lives and careers of the different artists who were commissioned to produce prophets for the facade of the Cathedral, quarrying of the marble that was to become David, all before the genius to carve it was even born. Each stage in the life of the David seems to have been a point of contention between different officials, artists, critics, the public. 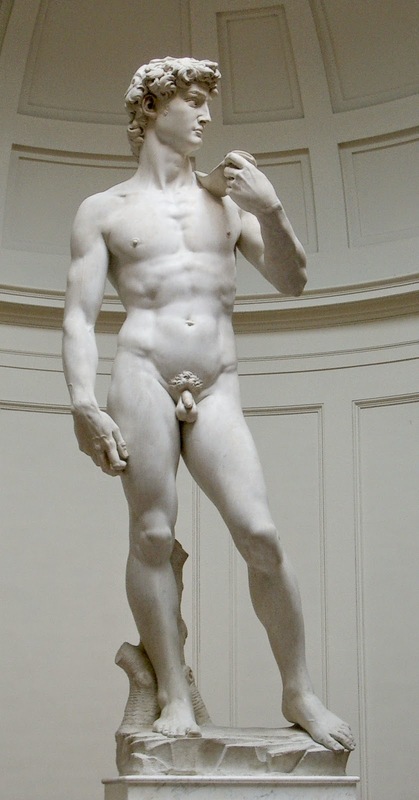 Where David should be placed, who owned it, how it should be moved, what it should stand on? Names of the individuals involved at each stage of the project, official documents, contracts included to frame the timeline, grounds this work in scholarly research while making it easily accessible not only to art historians but to everyone. By providing historical background on David's different 'homes', Coonin takes the reader on an art historical journey through the most important sites in Florence. In the final chapter of From Marble to Flesh: the last section"Cloning the David through the 21st Century and Beyond" brings the story of David to our present day. I really enjoyed From Marble to Flesh: The Biography of Michelangelo's David and would recommend it to anyone interested in art or history. I want to thank Alexandra Korey and The Florentine Press for providing a review copy of this book.